In 1916 (the year of the Easter Rising that resulted in the formation of the Irish State), no 19 Ranelagh Road was the home of Min and Mary-Kate Ryan, two prominent young Nationalists. The House served as a meeting place for the GHQ staff of the Irish Volunteers, and was where Sean T O'Kelly (Mary-Kate's eventual husband and a future President of Ireland) spent the night before the Rising. On Holy Thursday 1916 Min was tasked with bringing a message to Wexford that was to the signal the start of the Rising, but on Good Friday Eoin MacNeill sent her back again with a message to cancel. When the Rising eventually did start on Easter Monday, the two sisters joined the rebels in the GPO. Min was romantically involved with Sean MacDermott (one of the leaders who was captured and executed by the British). In one of his final letters from Kilmainham Gaol, he told his family that “if I think of any other things to say I will tell them to Miss Ryan, she who in all probability, had I lived, would have been my wife.” Min and her sister were his last visitors before his execution by firing squad in the early hours of May 12, 1916. Min later married General Richard Mulcahy (who served as Chief of Staff of the IRA during the War Of Independence), and was responsible with Michael Collins for re-organising the Volunteers throughout the country after the 1916 Rising, Mulcahy went on to become Minister for Defence and Commander-in-Chief of the Army in the Free State. Min Ryan interviewed about her recollections of how she and her family became involved in the Republican movement for the RTÉ Television project ‘Portraits 1916’ on 27 November 1965. 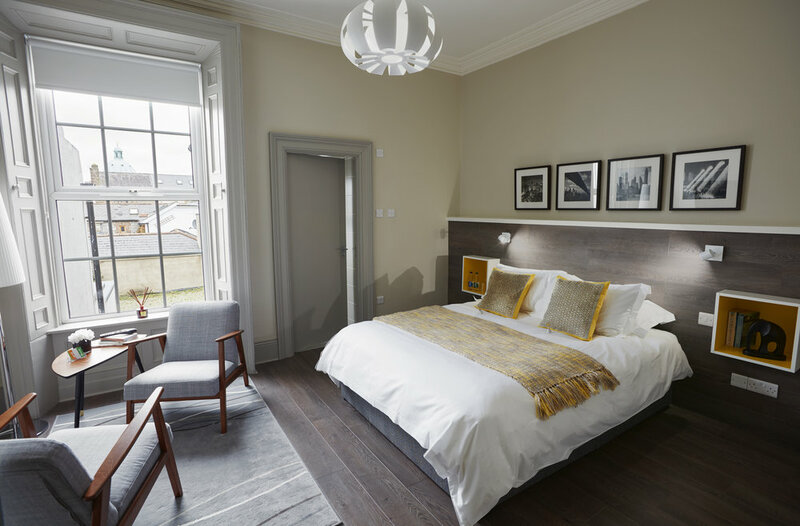 Named after the House's famous former resident, Min Ryan (who played an important role in the Easter 1916 Rising), The Min Ryan Room is a stylishly appointed Double Bedroom located on the Ground Floor at the back of the building (away from the traffic), and features a separate Dressing Room and En Suite Shower Room. The comfortable King Size Bed is made up with luxurious 100% cotton, 400 thread count Hotel Quality Bed Linen, and there is a Flat Screen Television on which you will find a selection of Irish and UK TV Channels. 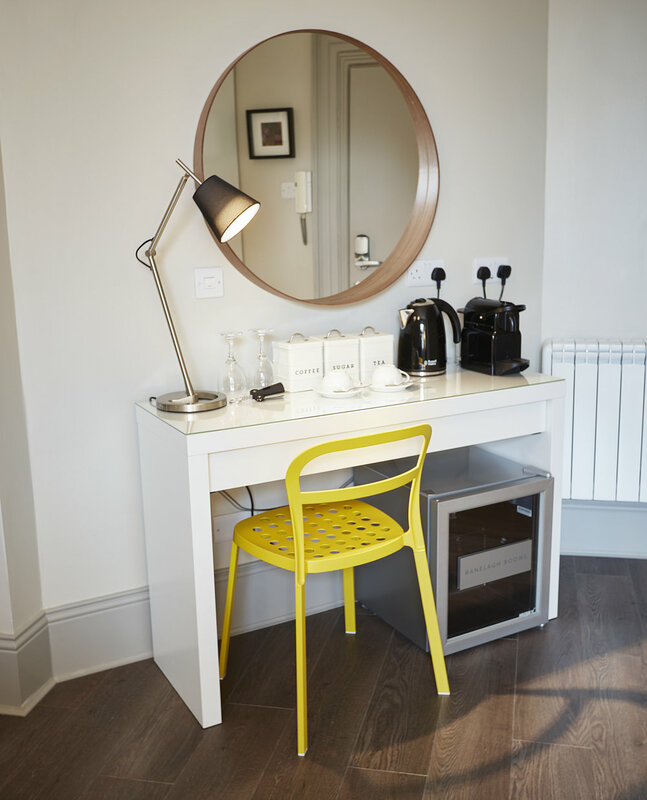 The Workstation is equipped with a USB Charging Port and there is FREE Wifi to ensure that you can stay connected whilst you are away from home. The separate Dressing Room is located just off the Bedroom, and the Tea Station includes a Mini Fridge, Kettle and Nespresso Machine. 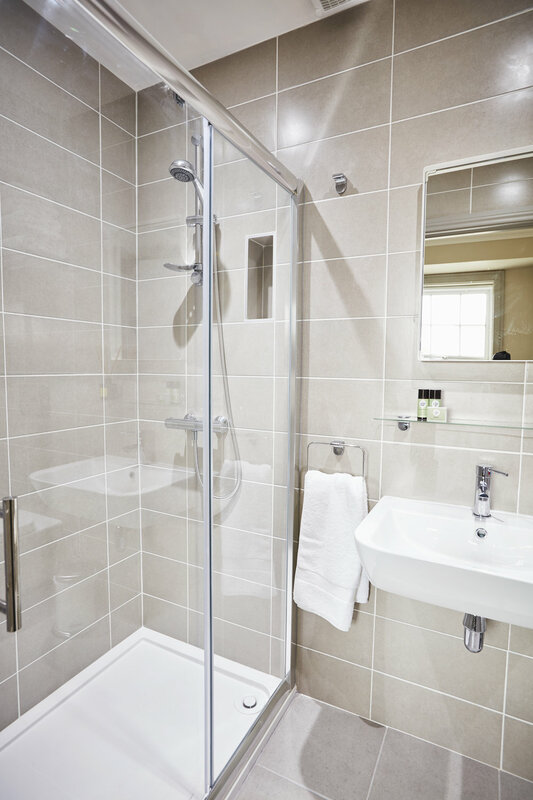 The tastefully decorated En Suite Shower Room has a Shower, WC and Wash Hand Basin. Considered by many to be Ireland’s greatest literary genius, and acknowledged as a leading proponent of modernism in fiction, James Joyce was born nearby at 41 Brighton Square on the 2nd February 1882, and spent his earliest years there and at 23 Castlewood Avenue (where he lived between the ages of two and five). His sister Margaret and brothers Stanislaus and Charles were both born in the house on Castlewood Avenue, which is said to be the place where he wrote his first words. A fun fact for Joycean Scholars: In Ulysess a Margaret Cummins of No 32 Castlewood Avenue married Alfred H Hunter in Rathmines Church on 1 February 1898. In real life a Mrs Anne Cummins lived in No 32. Aside from his literary works, Joyce is associated with the many classic Dublin Pubs that he frequented and wrote about. Indeed the famous puzzle posed in 1922 by Leopold Bloom in Ulysses "Good puzzle would be to cross Dublin without passing a pub" took almost 100 years to solve. (It took an algorithm developed by computer programmer Rory McCann in 2014 to finally put an end to the debate). Named after James Joyce (who is said to have written his first words just around the corner), The James Joyce Room is located on the First Floor at the back of the building (away from the traffic). It is bright and airy with a large window, and has a spacious En Suite Shower Room. The comfortable King Size Bed is made up with luxurious 100% cotton, 400 thread count Hotel Quality Bed Linen, and there is a Lounge Area with two stylish arm chairs to relax in. 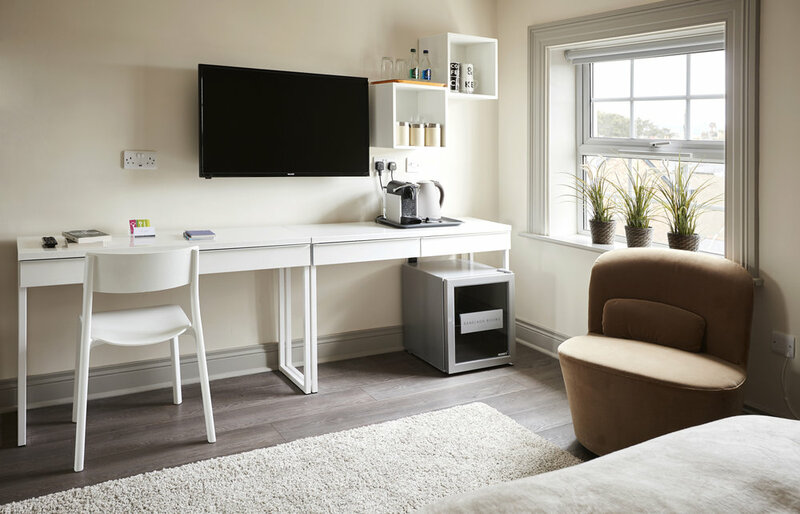 The Workstation is equipped with a USB Charging Port and there is FREE Wifi to ensure that you can stay connected whilst you are away from home.The Room also features a Flat Screen Television with a selection of Irish and UK TV Channels to keep you entertained. 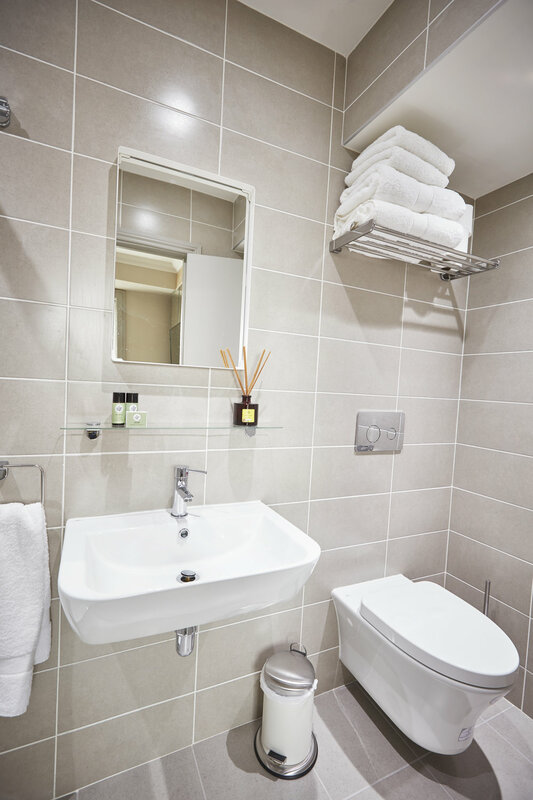 The tastefully decorated En Suite Shower Room has a Shower, WC and Wash Hand Basin, and the Tea Station includes a Mini Fridge, Kettle and Nespresso Machine. Although originally from Inniskeen, County Monaghan, poet and novelist Patrick Kavanagh lived for many years in Dublin, including at 136 Leeson Street (which enjoys views down the length of tree-lined Dartmouth Road towards Ranelagh Road). He is fondly remembered by Dubliners with not one, but two seats on either side of canal close to Baggot St Bridge. Named after Patrick Kavanagh, well known for his love of the nearby Grand Canal (not to mention being one of Ireland's finest poets), The Patrick Kavanagh Room is located on the Second Floor at the back of the building (away from the traffic). 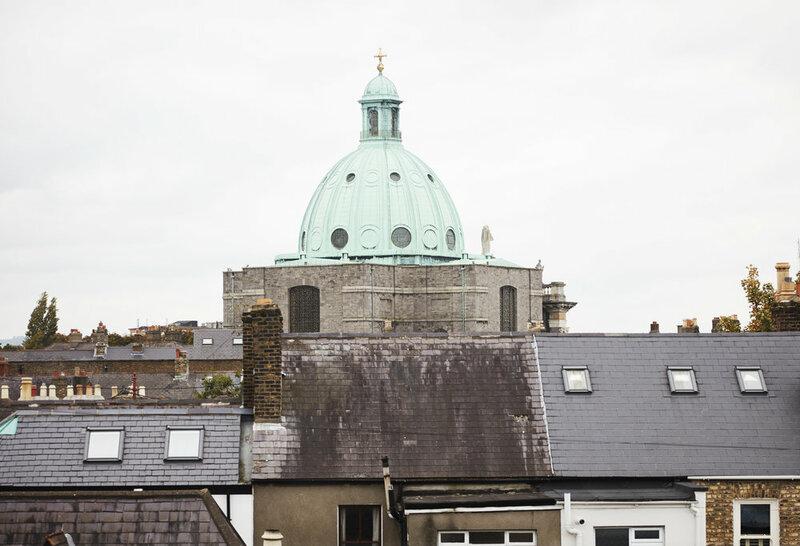 It features a large window that looks onto the iconic Rathmines Church Dome, and has a stylishly appointed En Suite Shower Room. The comfortable King Size Bed is made up with luxurious 100% cotton, 400 thread count Hotel Quality Bed Linen, and there are two stylish lounge chairs to relax in. 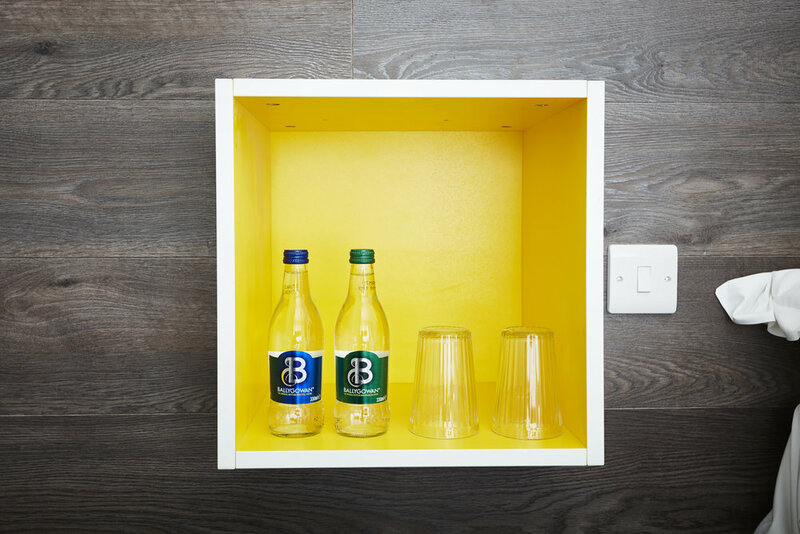 The Workstation is equipped with a USB Charging Port and there is FREE Wifi to ensure that you can stay connected whilst you are away from home. The Room features a Flat Screen Television with a selection of Irish and UK TV Channels to keep you entertained. 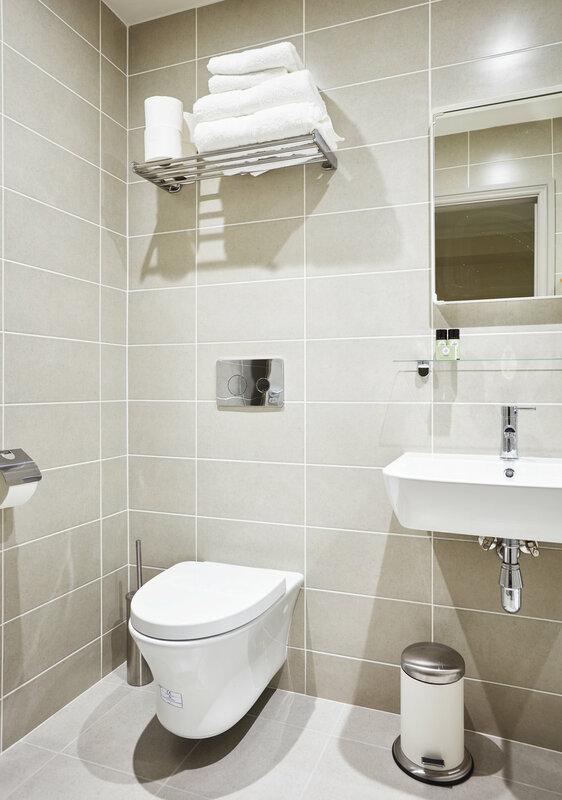 The tastefully decorated En Suite Shower Room has a Shower, WC and Wash Hand Basin, and the Tea Station includes a Mini Fridge, Kettle and Nespresso Machine. (sadly it seems most likely to have been a myth), we do know for a fact the he did live for at time at No 35 Marlborough Road. Born on the 15th February in 1874 in Kilkea House, County Kildare, Shackelton and his family moved to Dublin 1880 so that his father could study medicine in Trinity College (before ultimately moving to the UK in 1884). Ernest Shackleton 'men wanted' ad. Famed as a Polar Explorer who led three British expeditions to the Antarctic, Shackleton was one of the principal figures of the Heroic Age of Antarctic Exploration, and pioneered the route to the South Pole that Scott used in his tragic expedition. Although the race to the South Pole was ultimately won by Roald Amundsen in December 1911, in 1909 Shackleton and three companions achieved the largest advance to the pole in exploration history, establishing a new record Farthest South latitude at 88°S, only 97 geographical miles (112 statute miles) from the South Pole. 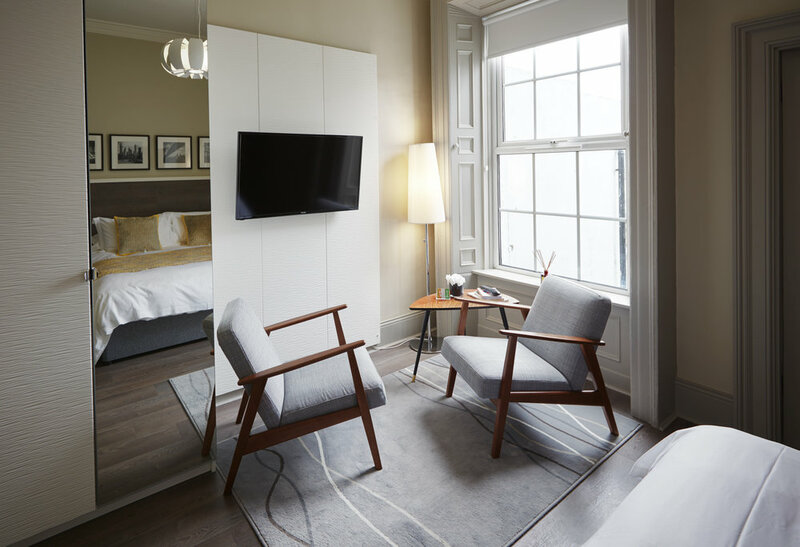 Named after the Irish Antartic Explorer (who as a child lived nearby on Marlborough Road), The Ernest Shackleton Room is the perfect base from which to conduct your exploration of Dublin. It is located on the Second Floor, at the front of the building. 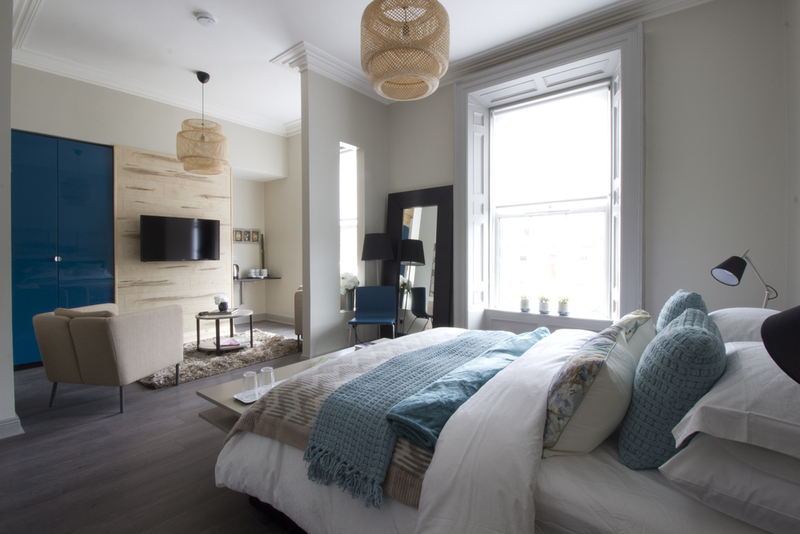 With its high ceilings, and two large windows overlooking Ranelagh Road, it is spacious and comfortably appointed - perfect for those who appreciate a little extra space. The comfortable King Size Bed is made up with luxurious 100% cotton, 400 thread count Hotel Quality Bed Linen, and there is a separate Lounge Area with two stylish armchairs to relax in. 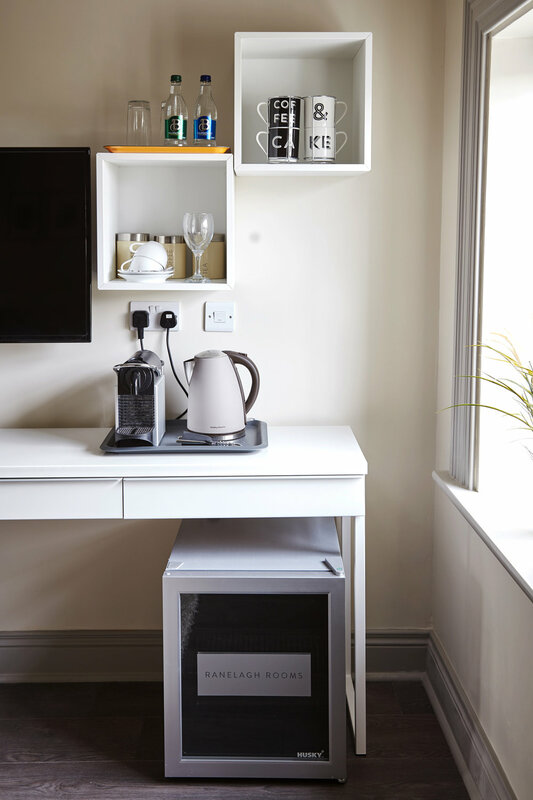 The Workstation is equipped with a USB Charging Port and there is FREE Wifi to ensure that you can stay connected whilst you are away from home. The Room features a Flat Screen Television with a selection of Irish and UK TV Channels to keep you entertained. 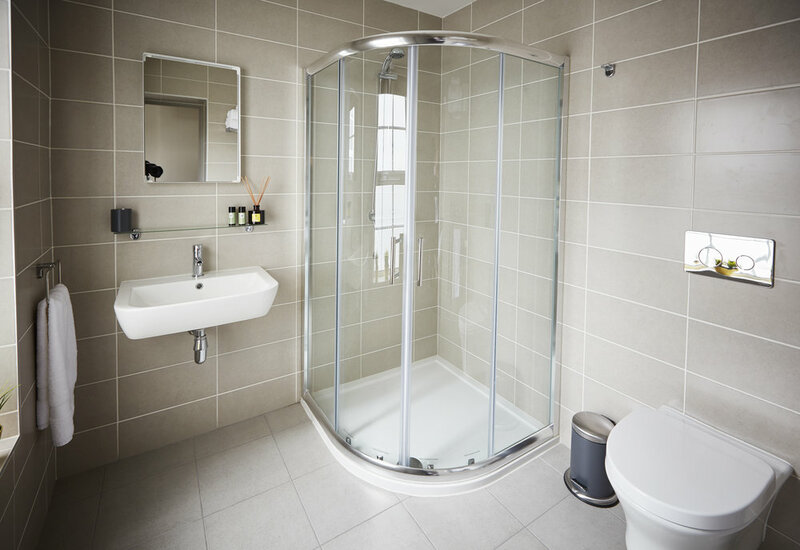 The tastefully decorated En Suite Shower Room has a Shower, WC and Wash Hand Basin, and the Tea Station includes a Mini Fridge, Kettle and Nespresso Machine.